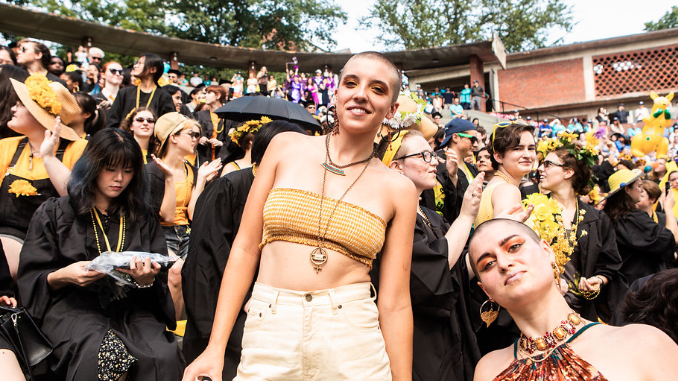 Mount Holyoke’s loudest tradition of the academic year is all about celebration — and shouting for joy in the company of your class, rain or shine. 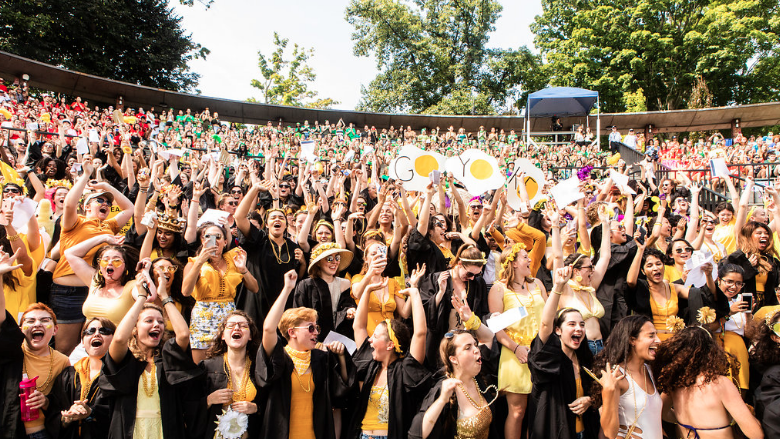 It’s about welcoming the new first-year students, cheering on the graduating class and loving on all those in between! 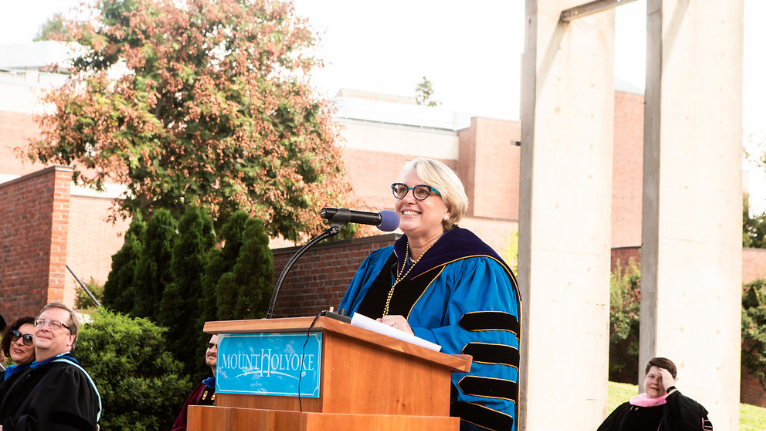 Convocation marks the official start to the school year and, as such, includes remarks from the chair or vice-chair of the Board of Trustees, the president of the College, a faculty member, a staff representative and the president of the Student Government Association. 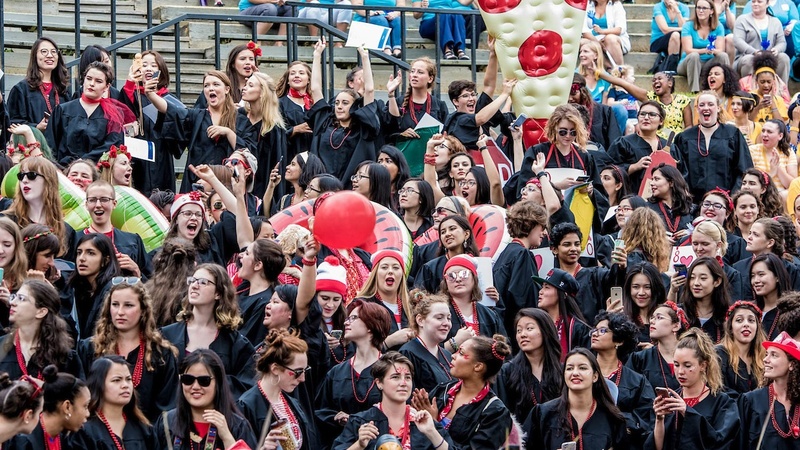 Convocation is a chance to highlight community accomplishments, points of pride, initiatives and goals. 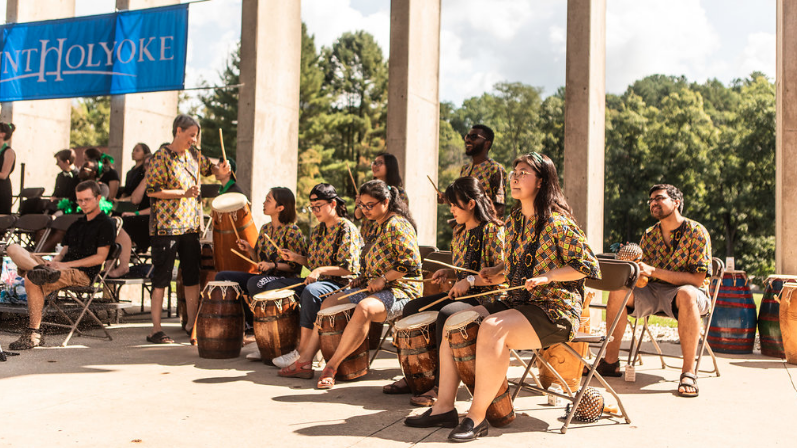 And it’s an opportunity to enjoy performances by the Mount Holyoke Convocation Choir and the Five College West African Music Ensemble. 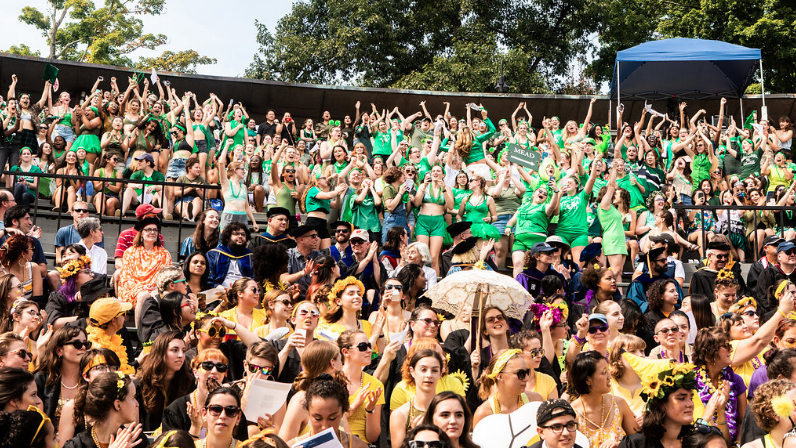 As notable as the events on the amphitheater stage may be, the real action arguably unfolds within the stands. 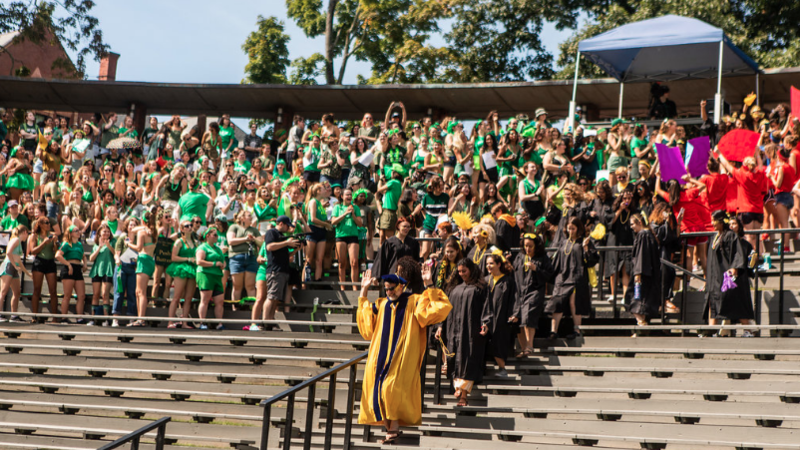 Here, Convocation is a visual and sensory delight of the blue, yellow, red and green class colors — and purple for Frances Perkins scholars. 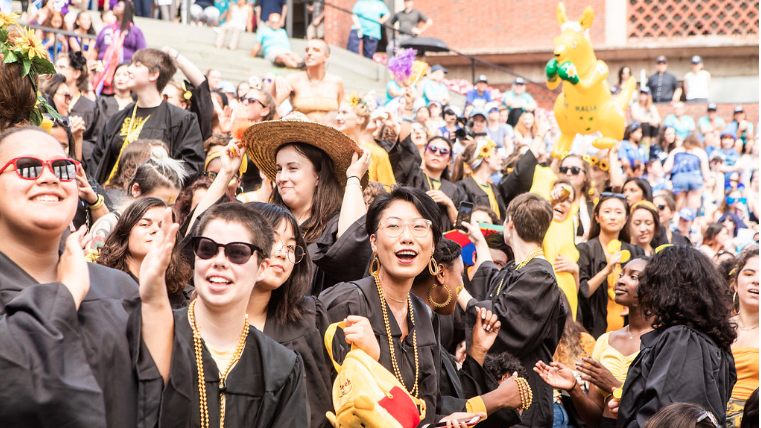 Throngs of students come laden with balloons, boas, beads, flowers, capes, gowns, body paint, pompoms, glitter, bubbles, Silly String, tiaras, luau skirts, blow-up friends (kangaroo, dinosaur, pizza slice, etc. ), hats, wigs, signs and shades. 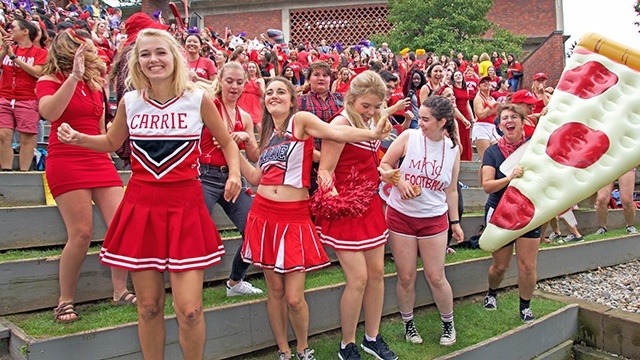 You may hear drums, songs, rattles, megaphones, cow bells and noise makers. And see lots and lots of raised up cell phones, capturing and sharing the moment. It’s also the perfect introduction to life at a women’s college. 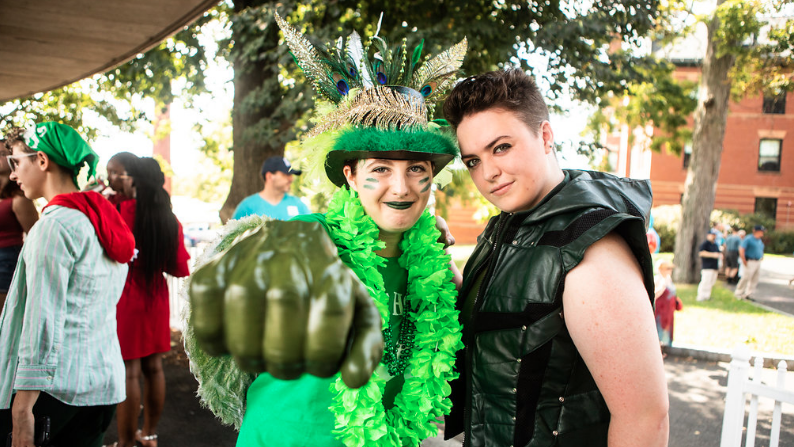 Yes, we do things a little differently here. Since 1837, when our College was founded by a visionary woman in a bonnet, we have believed that women could and should do great things. 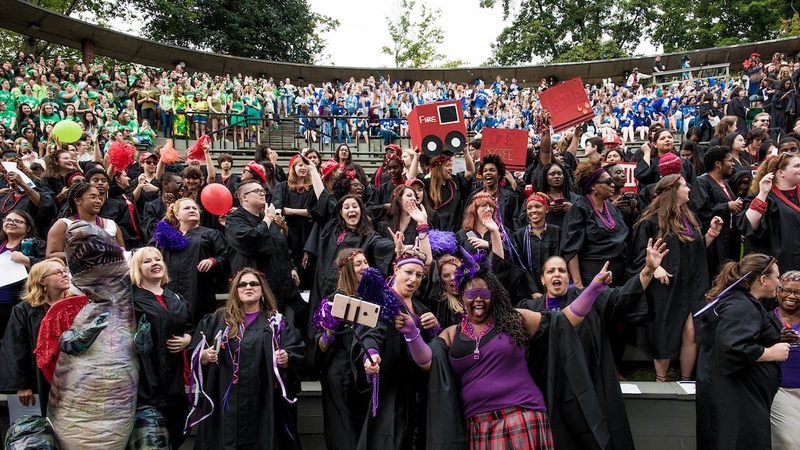 But thoughts of “What will this be like?” and “This is kind of different,” are soon replaced by “This place is amazing!” and “These people inspire me!” Convocation helps kick this transformation into high gear. 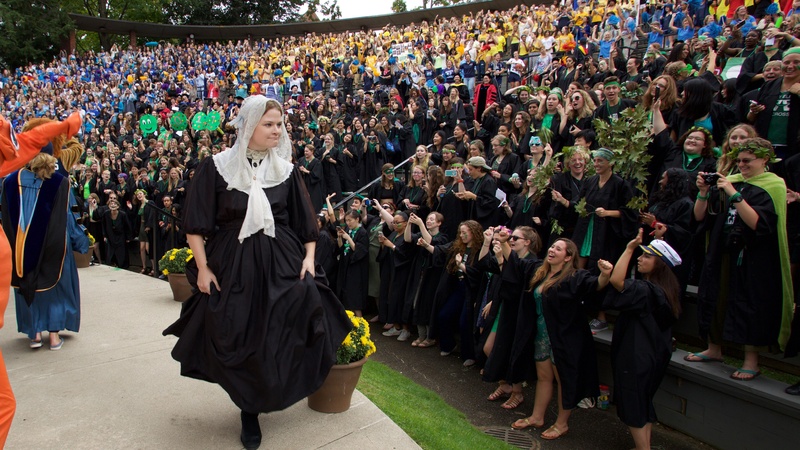 Convocation, like the College itself, has transformed over the years. 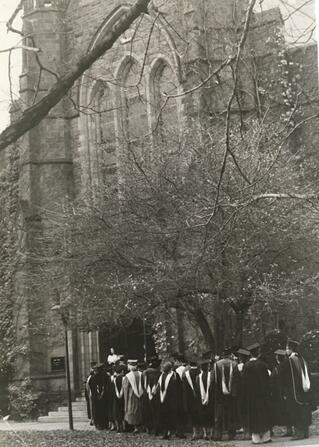 What began in 1931 as a “special service” — a buttoned-up affair in the Abbey Chapel featuring an address by the president and the announcement of student awards — has evolved into a rousing bookend to Commencement. 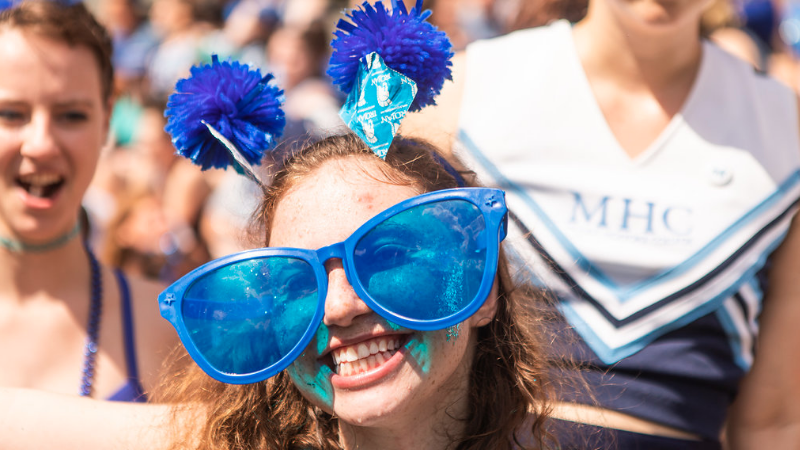 This highly anticipated tradition both ushers in the new academic year and brings the classes, faculty and staff together. 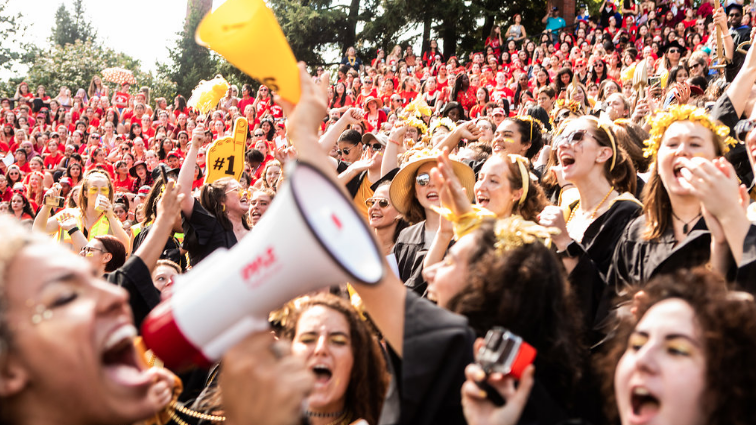 As Convocation helps you see, feel and believe, you are part of a community that is driven to achieve, lead and succeed — and to raise one another up. To shake things up and to make good things happen. 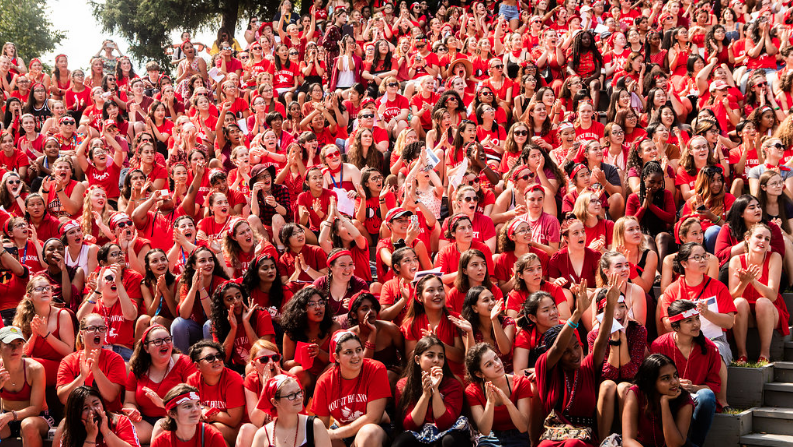 This is your College. This is your time. 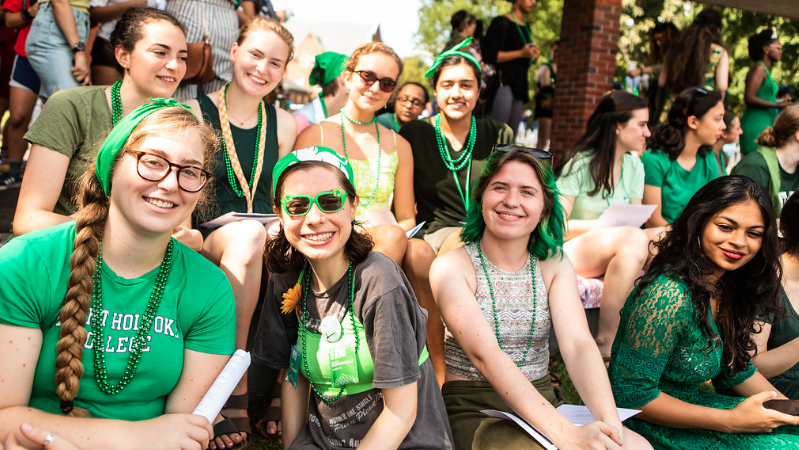 Welcome to Mount Holyoke College! 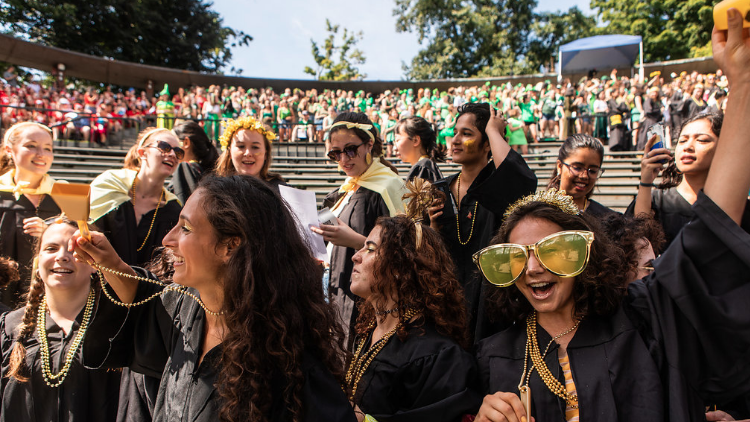 The photo above — capturing Convocation from the 1930s — is courtesy of Mount Holyoke College Archives and Special Collections. 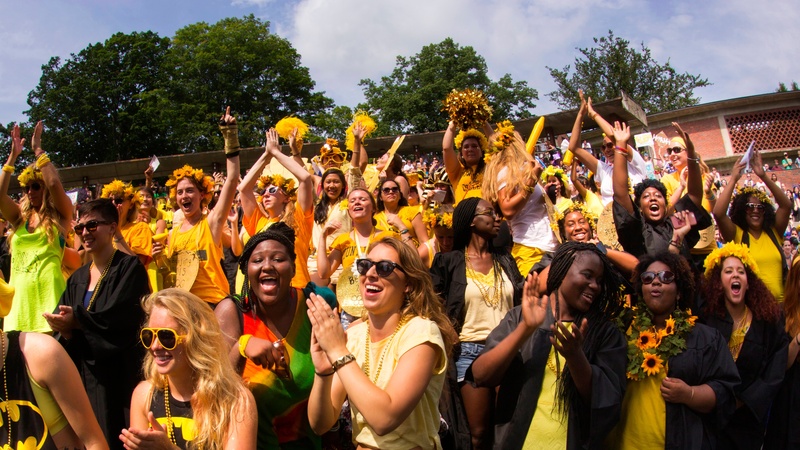 Make our College your College.